Have you ever thought about the connection between deteriorating trees and property damage? 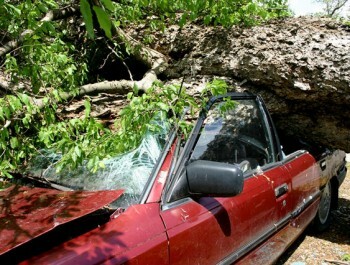 The property a tree falls on and the vehicle or home crushed by it are often owned by different people. In this situation, the owner may file a claim against the property owner’s insurance policy. Whether the property owner has been negligent in not maintaining the tree isn’t always clear. Assignments for liability claims may be may be handled two different ways. In some cases you will be handling the liability investigation and the physical damage inspection. In other cases, the liability investigation will be conducted by an inside adjuster and you will handle the appraisal and gathering of any on site evidence. The first issue at hand are the laws governing deteriorating trees and property damage. Generally, property owners are responsible for maintaining trees on their land, but laws are state-specific. Be sure to review the laws of the state you’re working in. After reviewing the applicable state laws, consider whether the property owner is negligent. This may be clear in some cases, but it’s often not. Consider the arguments for and against the property owner, and weigh the strength of each argument. Determine if the tree was alive or dead. Was the tree in need of removal prior to the storm? Consider if the hazardous condition had previously been reported to the owner. If so, did the owner take reasonable steps to prevent damage to property of others? Complete all of the investigative steps as outlined on your assignment. Take plenty of pictures of the tree and any deterioration or lack thereof. Clearly label all of your photos before submitting them. If the tree was removed prior to your inspection, contact the tree removal service and inquire if the tree was or was not live and healthy. We encourage you to contact Pilot Catastrophe Services for helpful information regarding our independent insurance adjusting firm in Mobile, AL.